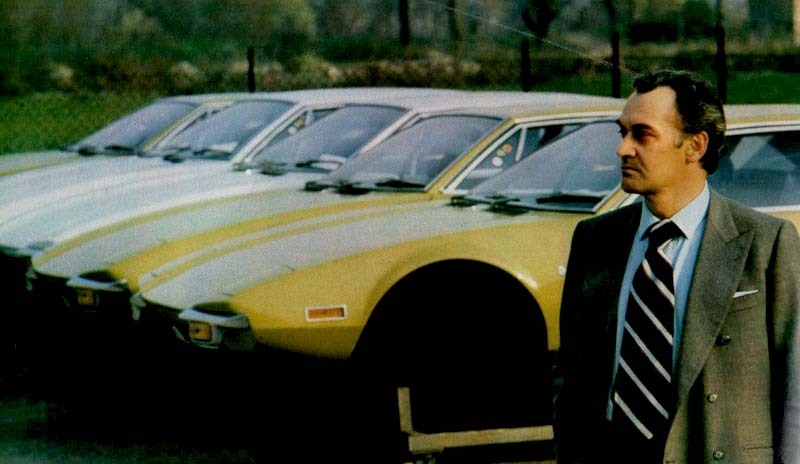 De Tomaso realised that in order for his company to be financially solid, he would need to build cars in numbers and not just a few Formula and Sports vehicles. His first foray into production vehicles was with the Vallelunga, his first passenger vehicle launched in 1965. Circa 50 were made before he went onto the development of the Mangusta, "Mongoose" with its powerful Ford V8 engine, demonstrated in 1966 to great acclaim. Following the success of the Mangusta, De Tomaso went into collaboration with Ford and in June 1970, Ford bought 80% of the Ghia, Vignale and De Tomaso Automobili stock and the remaining 20% went to a new firm, De Tomaso Inc. A first joint venture was the Pantera, the car most often associated with De Tomaso. The relationship was a turbulent one and so by the end of the 1974 model year, Ford and De Tomaso Automobili dissolved their business arrangement and exports to the US concluded. Whilst the Pantera had been developed for the American market with Ford having the rights to serve this market, De Tomaso retained the rights to sell the car in other areas of the world. Consequently, by virtue of the original agreement, production of the Pantera could continue from their new factory at the via Emilia Ovest 1,250 in Modena. Opened in 1973, Panteras were built for all countries (except the US) alongside the Deauville and Longchamp. During the 1960s and 1970s, de Tomaso acquired a number of Italian industrial holdings. 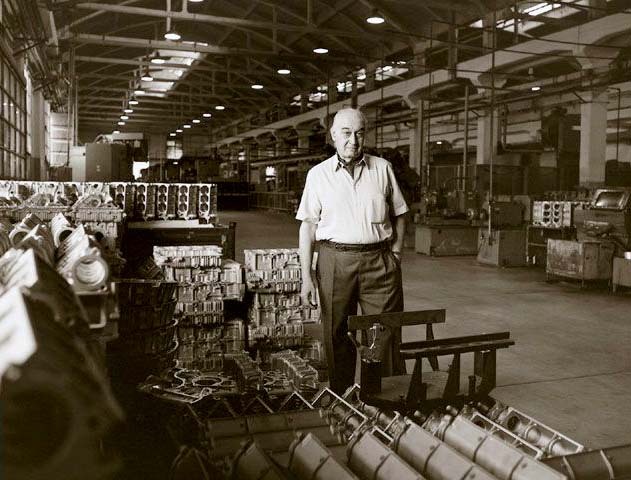 As well as the Ghia and Vignale coach building studios, he gained control of the Benelli and Moto Guzzi motorcycle firms, the Innocenti car company (founded as an offshoot of the British Motor Corporation to build Minis in Italy.) . The oil crisis in 1973 hit all manufacturers hugely and in 1975, De Tomaso bought Maserati from Citroen, which he rescued from bankruptcy with the assistance of the Italian government. Over time however, he sold many of his holdings. In 1973 Ghia infamously was sold to Ford (who would make much use of the name) and Innocenti bought by Fiat. De Tomaso ensured the survival of the Maserati marque until 1990, when he sold out profitably to Fiat. In July 1990, the very last of the original Panteras left the production line. Its successor had been shown at the Turin Motor Show some months earlier and this 1991 Pantera was not be the last of De Tomaso's creations. De Tomaso suffered a stroke in 1993 and with failing health, the day-to-day running of the De Tomaso company was handed over to his son Santiago. Alejandro De Tomaso passed away in May, 2003. De Tomaso's own core company, Automobili de Tomaso, survived into the 21st century as the only significant Italian motor manufacturer independent of Fiat.